There are usually three situations that call for a move to a different city or state. While each carries separate motives and needs, they all require you to find somewhere to live. Desire. For many people, making a move is a personal choice. Either you want to move closer to family, love a specific geographical area, or want to try something new. This is usually the most preferred reason for moving and involves excitement and anticipation. Job Relocation. Unfortunately for many, jobs often require people to move to a new city or state to keep their position. Depending on where you are moving, this can be exciting or disappointing. Either way, it’s one of the major causes for moving to a new city. Military Assignment. The third major cause of moving to a new location is military assignment or reassignment. As is the case with standard job relocations, military assignments often force you to pack up your bags and move with little notice. Surprisingly to some, Colorado Springs has a relatively low cost of living – below the national average. Housing is priced rather fairly and the large majority of homes are able to sell after only weeks on the market. According to Forbes.com, Colorado Springs is the 12th best place for careers and business. This is based on factors like job growth, education attainment, population, and cost of doing business. As of last count, twenty-seven Fortune 500 companies had some amount of presence in Colorado Springs. If you are a business owner, or looking to start a business, you shouldn’t have any trouble finding gifted talent, either. Colorado Springs has everything from capable software engineers and talented artists to skilled electrical engineers and business consultants. As mentioned, Colorado Springs has a relatively low cost of living. Some of this is in thanks to the tax rates in El Paso County. The tax burden here is the lowest in the state and much lower than the large majority of the country. So not only are people making money in an exceptional business climate; they also keep more of their paychecks. As Spencer Penrose so eloquently pointed out, Colorado Springs is beautiful and comfortable. There are no extreme temperatures and conditions are typically very dry and sunny. In January the average high hovers around 45 degrees, while the average summer day is somewhere in the 70s. There are reportedly 300 sunny days each year, which is much higher than most of the country. If you want to live near Colorado Springs, but would prefer to call a small community home, consider some of the many surrounding towns like Fountain and Monument. Fountain, Colorado, is located in El Paso County and is only 10 miles south of Colorado Springs. Closely tied with two other Colorado Springs suburbs, Widefield and Security, the three are collectively known as the “Fountain Valley” community. With just over 15,000 residents, Fountain offers locals a small town feel with major resources. Located slightly north of Colorado Springs, Monumentis a fast growing town bordering the Pike National Forest. While the population has grown by more than 200% in the last decade and a half, there are still less than 10,000 residents. The town offers beautiful views, great amenities, and a desirable location. Don’t be intimidated by your move. Whether you have only a few days to prepare or know about the move far in advance, making preparations can ease the transition and make things go smoothly. Before arriving, it’s best to contact a Colorado Springs real estate professional to assist you with the home buying process. There is usually three situations that call for a move to a different city or state. While each carries separate motives and needs, they all require you to find somewhere to live. Whether you’re moving to Colorado Springs for personal reasons, a job relocation, or military assignment, you should be excited about the opportunity. Colorado Springs is consistently ranked as one of the best places to live in the country and offers residents a number of benefits. If you’ve never considered Colorado Springs before, now may be the time to consider this breathtaking locale. In the words of one of Colorado Springs’ greatest historical figures, Spencer Penrose, Colorado Springs “might not possess beaches and antiquity but it [has] its own unique resort qualities – the dazzling clarity of light, the stimulating dryness, the superb climate, the tonic air, and the great sheltering mountain with its variety of birds, flowers, and animals.” Here are five more benefits you may find advantageous. According to Forbes.com, Colorado Springs is the 12th best place for careers and business. This is based on factors like job growth, education attainment, population, and cost of doing business. As of the last count, twenty-seven Fortune 500 companies had some amount of presence in Colorado Springs. If you are a business owner or looking to start a business, you shouldn’t have any trouble finding gifted talent, either. Colorado Springs has everything from capable software engineers and talented artists to skilled electrical engineers and business consultants. As mentioned, Colorado Springs has a relatively low cost of living. Some of this is in thanks to the tax rates in El Paso County. The tax burden here is the lowest in the state and much lower than the large majority of the country. So not only are people making money in an exceptional business climate; they also keep more of their paychecks. As Spencer Penrose so eloquently pointed out, Colorado Springs is beautiful and comfortable. There are no extreme temperatures and conditions are typically very dry and sunny. In January the average high hovers around 45 degrees, while the average summer day is somewhere in the 70s. There are reportedly 300 sunny days each year, which is much higher than most of the country. Whether you are looking to go back to school for a second degree or have kids in varying levels of education, you can’t go wrong in Colorado Springs. Public school districts are among some of the best in the entire state and there are plenty of choices for college. The University of Colorado has a campus in Colorado Springs, which offers some of the best master’s programs in the country. Other colleges include Colorado College, Pikes Peak Community College, Colorado Technical University, and the Air Force Academy. If you want to live near Colorado Springs, but would prefer to call a small community or neighborhood home, consider some of the many surrounding towns like Fountain and Monument. Fountain, Colorado, is located in El Paso County and is only 10 miles south of Colorado Springs. Closely tied with two other Colorado Springs suburbs, Widefield and Security, the three are collectively known as the “Fountain Valley” community. With just over 15,000 residents, Fountain offers locals a small town feel with major resources. Located slightly north of Colorado Springs, Monument is a fast growing town bordering the Pike National Forest. While the population has grown by more than 200% in the last decade and a half, there are still less than 10,000 residents. The town offers beautiful views, great amenities, and a desirable location. Don’t be intimidated by your move. Whether you have only a few days to prepare or know about the move far in advance, making preparations can ease the transition and make things go smoothly. 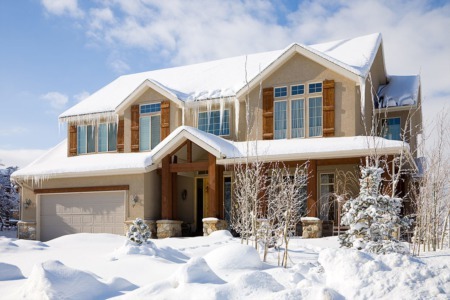 Before arriving, it’s best to contact a Colorado Springs real estate agent to assist you with the home buying process. At the Ashford Realty Group, we help people like you on a daily basis. Whether you are moving to Colorado Springs on a whim, as the result of a job relocation, or due to a military assignment, we are excited about the chance to work alongside you. Our agents are some of the most experienced and knowledgeable in the area and are prepared to answer any questions you may have. There are always homes for sale in Colorado Springs, but how will you know what to look for without local expertise? While the national search sites may have thousands of listings, they certainly don’t have the accuracy of our local MLS home search services have. For more information, please contact us today!